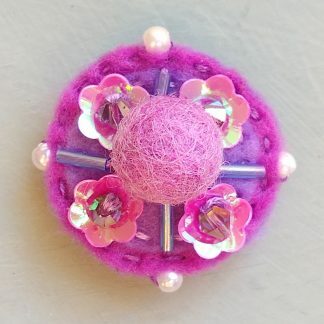 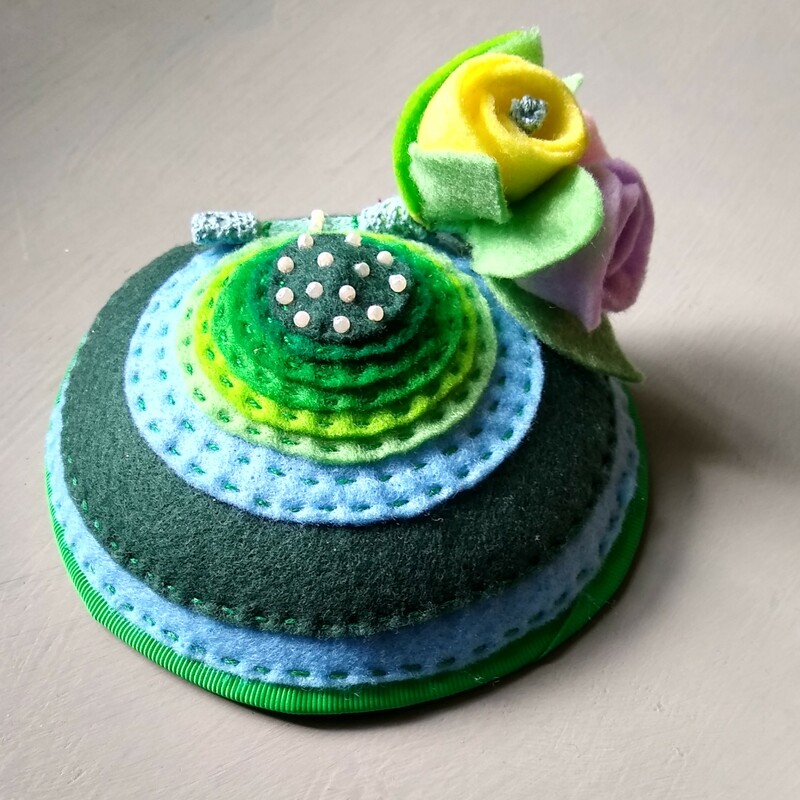 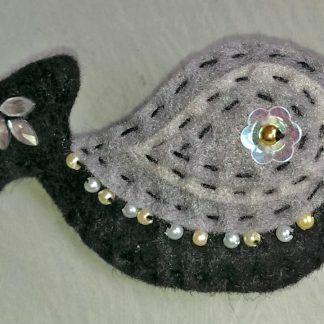 Dome shaped fascinator made from layered and sculpted felt on a sinamay base. 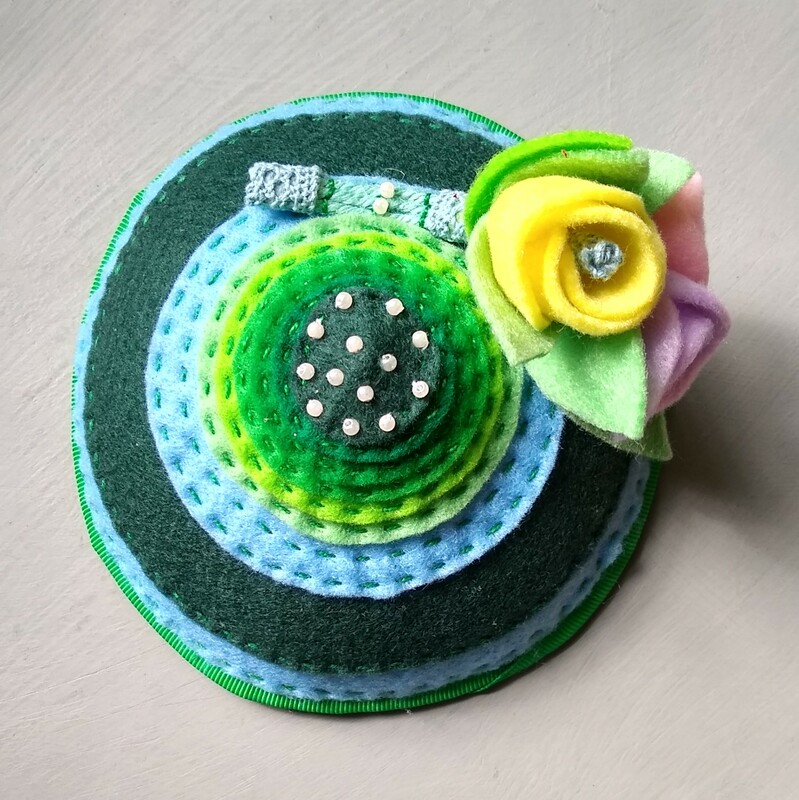 Natty & Chic was set up by textile artist Lesley-Ann Withers. 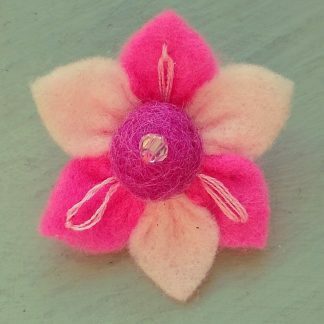 Lesley has many years of experience as an artist, designer and teacher. She is very inspired by fashion styles from bygone eras, which she interprets with her own quirky flair!